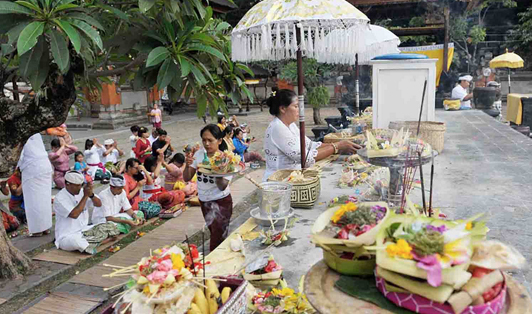 Pagerwesi is the last day that concludes the succession of celebrations of wealth as an important symbol of life, it is known for signifying spiritual growth and reinforcement. The origin of the festival’s name is a combination of two words Pager which means Iron and Wesi which means Fence. The day is an embodiment of standing in your truthful positivity and getting rid of the negativity that doesn’t serve you and drain you. The day is the end of Holy celebrations that aims for the protection of the spirit.